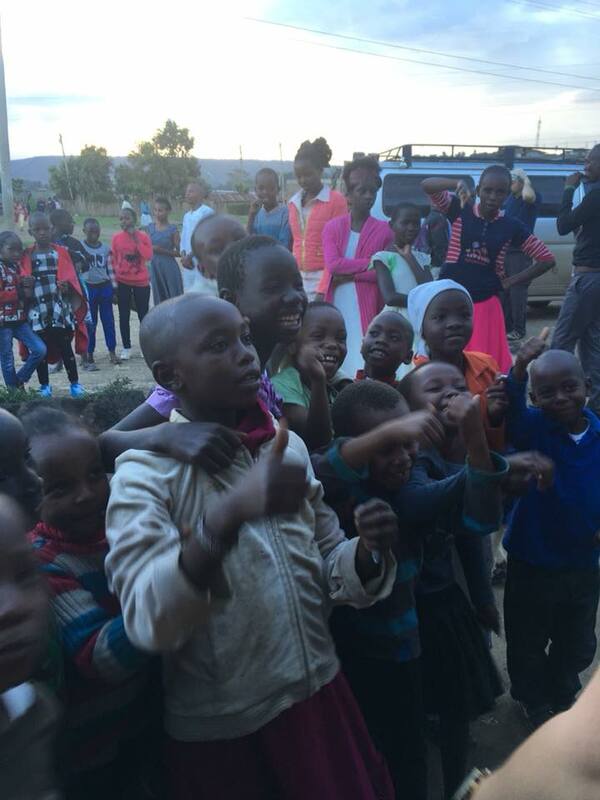 The trip to Nakuru was colourful and chaotic: road side poverty obvious to all. Fruit, fish, rhubarb, carrots, potatoes, sheepskin rugs, brightly coloured fabric, all for sale amidst dilapidated shacks along the ‘road’ to Nakuru. 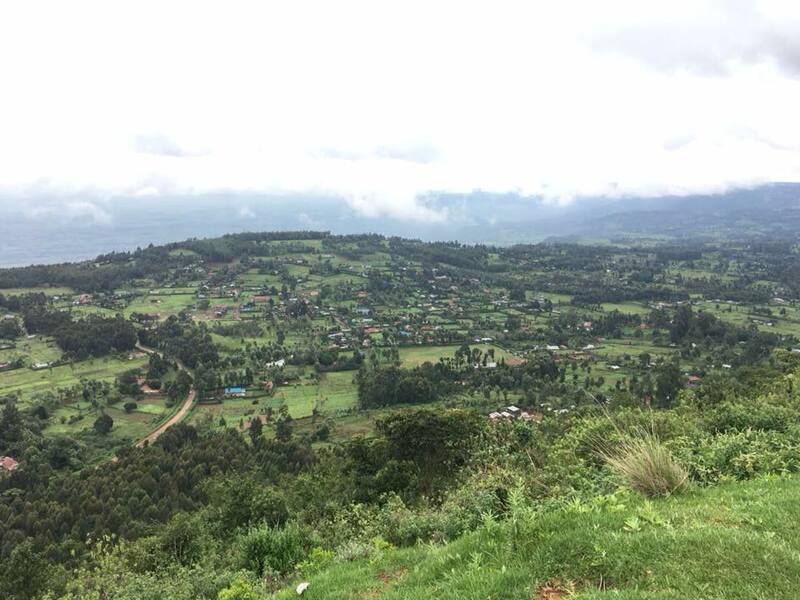 We climbed up and up through the Rift Valley reaching nearly 9000 feet in altitude; the views and scenery were simply beautiful. Corruption was experienced first hand when the police pulled us over and looked around the matatu for something with which they could find fault. They then took Kim’s driving licence and walked off with it! Bemused and confused, Kim finally retrieved it in exchange for 1000 shillings (around £7). Sadly, a normal, everyday occurrence here in Kenya. Further into the journey, passing through Delamere, we saw zebras, baboons, gazelle, cows and sheep just grazing amongst the lush green vegetation. After settling into our hotel we took a trip to the supermarket to stock up on groceries for the week. ‘Woolmatt’ was the supermarket of choice, stocking anything from plant pots to mattresses! 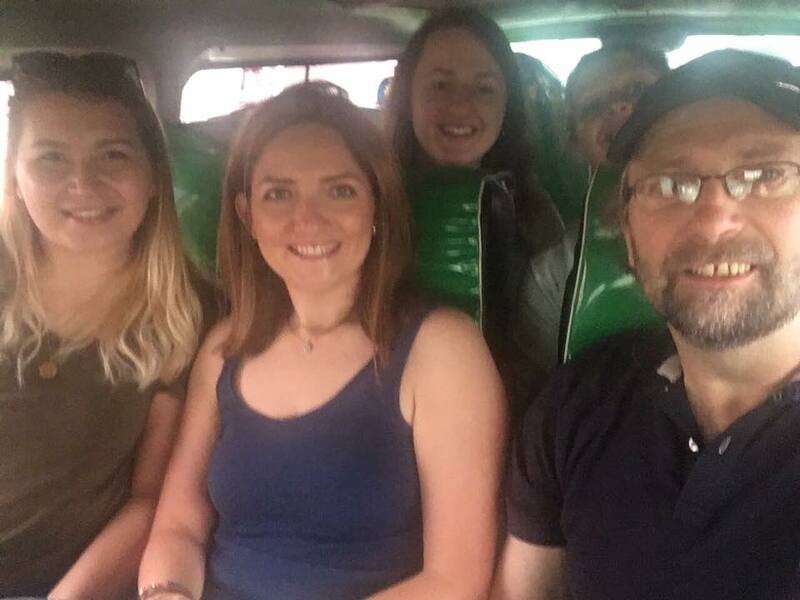 Our final trip of the day took us into the slums to the Doxa office where we unloaded all of our suitcases full of aid ready to be unpacked and sorted out tomorrow. We were greeted like celebrities by the growing army of children; ‘mzungo’ (white man) was shouted at us and beautiful little faces flocked around us, eager to stroke our arms and have their pictures taken. Back to the hotel for some food before a big day of unpacking, sorting and painting tomorrow! Keep posted for day three tomorrow!